Andy Serkis is the quintessential motion capture actor, his name now synonymous with the style. It’s hard for me to picture him without nodes stuck to his face, honestly. Cast your mind back to the distant year of 2001. Millennium fever had just about worn off, The Dome is being scrapped for parts, a single tear is rolling down the cheek of Tony Blair, distant words of “the country needs this dome” still ringing in his admittedly large ears. Little did he know that his big, rounded ears were about to be woefully out of fashion, thanks to the most popular fantasy feature film release for decades. Thanks to The Lord of the Rings: The Fellowship of the Ring, pointy-eared elves were about to hit mainstream for the first time alongside orcs, dwarves, hobbits and… whatever Gollum is. Unexpectedly, it was the latter creature that caught most of the attention. 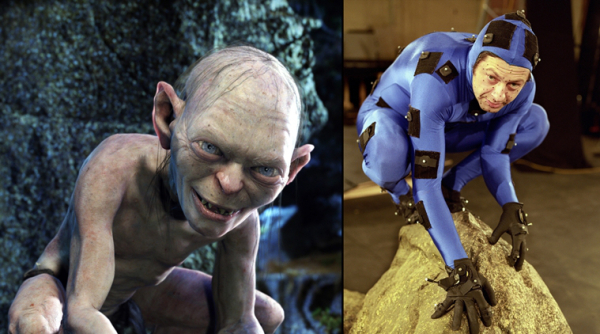 Prior to LotR, no one had pulled off mocap quite so convincingly as Serkis and the technical team behind Gollum. As a character he was clearly a VFX creation, but thanks to the outstanding one-two punch of Serkis’ performance and the technology/visual artistry, for the first time in cinema it was possible to forget that there was a human under there. Despite these globally recognisable roles turning Serkis into a household name, loads of people still just think of him as that guy with the ping pong balls strapped to his body. In actuality, Serkis’ mind blowing performances that tap into the dark and primal aspects of the characters and creatures he portrays have done a great deal for advancing motion capture as an animation discipline. Like King Kong scooping up Ann Darrow, Serkis has nabbed a fair few awards and nominations for his various performances. Let’s take a look at some of his most iconic roles. The big one. A convincingly eerie mixture of malicious, frenzied obsession and pathetic addiction. Gollum is the role that not only demonstrated Serkis’ range and ability, but set the baseline for what would be expected from a motion capture performance. Okay, I know I said Gollum was the big one… but here’s the largest. Look at this absolute unit. Staying simian, Caesar from the Planet of the Apes reboot trilogy is perhaps the most impressive of Serkis’ roles. The visually apparent character progression (evolution if you will) is fascinating to behold as the behaviour of Caesar undergoes it’s transition throughout the series. 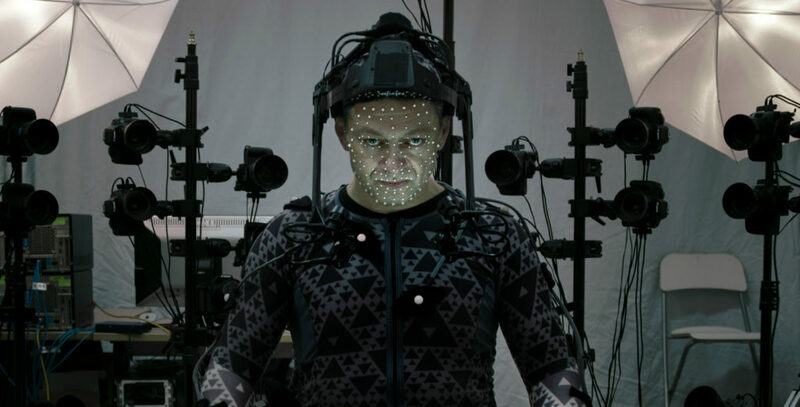 Yes he’s stuck in a chair most of the time but the role of Snoke offered Serkis the chance to mocap a human character, showing a bit of range that can’t necessarily be expressed from the perspective of a hobbit or on ape. Serkis has proved that it takes more than just a voice to perform as a cg character. He demonstrates a thoroughly emotive, nuanced performance: every facial and bodily movement contributing to the depth of the character he’s portraying. He’s become central to mocap thanks to other industry professionals and marketers that position him as the voice of and creative epicentre of the craft. Unfortunately this means he almost eclipses the motion capture and the VFX teams working to bring the technological creations to screen. I want to make very clear that alongside Serkis, an even more important element in the advancement and popularity of mocap are the pioneering, hardworking, genius technicians and animation professionals behind the process itself. 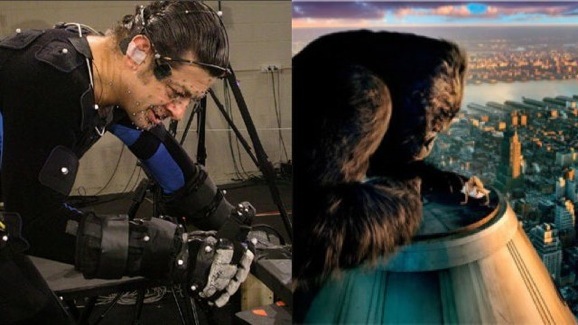 Serkis is a master of his craft and his personal contribution to mocap can’t be underestimated, but he should still be considered a catalyst for these guys’ innovation and skill. Military – Like VR, mocap allows for training and simulation applications that can take place in a safe environment. It allows complex analysis and review of training scenarios, allowing trainers to identify trainee reactions and identify weak spots in their performance. Medical – Medical professionals use mocap to analyse their patient’s movements to assist with diagnosis. Sports – In much the same was as in the military, mocap lets coaches review their athletes performance, allowing them to create a more personalised and effective training programme based on the weaknesses they identify in the mocap recording. Robotics – Mocap is a key sensory tool for artificial intelligence vision and robotics. Not only is it a vital part of how robots can perceive the world around them, but the technicians use the mocap data to improve on their designs. Now I’m not going to say that Serkis made all this happen, but it’s possible that due to his performances and characters becoming a prominent part of the discourse surrounding VFX in film, he’s gone on to inspire thousands of visual artists and technicians. He’s certainly an inspiration in the Fudge Studio, and we can’t wait to see who he becomes next.